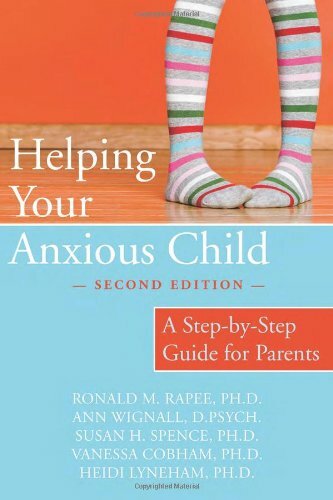 Helping Your Anxious Child by Ronald M. Rapee, Ann Wignall, Susan H. Spence, Vanessa Cobham, and Heidi Lynedham. 10 percent of children have excessive fears and worries–phobias, separation anxiety, panic attacks, social anxiety, or obsessive-compulsive disorder–that can hold them back and keep them from fully enjoying childhood. If your child suffers from any of these forms of anxiety, the program in this book offers practical, scientifically proven tools that can help. Pp 238.